Legislation finally began reaching Gov. Greg Abbott's desk on Friday — with five days left in the special session — but there's still much progress to be made on Abbott's 20-item agenda. With five days left in the special session, legislation finally began reaching Gov. 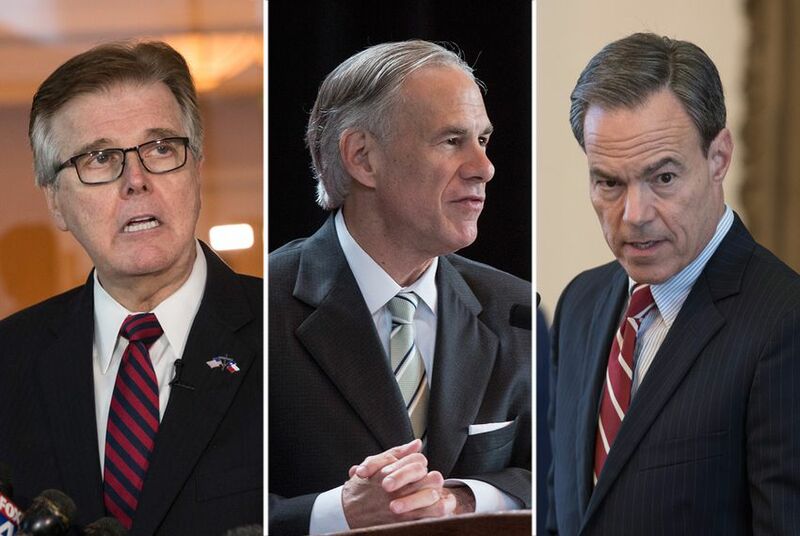 Greg Abbott's desk on Friday — though hurdles remain for some big-ticket items that could determine whether Abbott will be satisfied enough to not call lawmakers back to Austin for another go-round. Abbott capped Friday by first signing two must-pass "sunset" bills that would keep some state agencies from closing, proposals whose failure during the regular session was one of the main reasons Abbott called an overtime round. Abbott then signed a bill cracking down on mail-in ballot fraud. A fourth bill that relates to abortion reporting requirements was also made ready for his signature Friday. The final advancement of those four bills Friday checked off the boxes for three out of 20 items on Abbott's special session agenda. As it's become clear lawmakers won't come close to approving Abbott's agenda in full, attention is now turning to two questions: How many items short of 20 can make it to the finish line? And will they be important enough to Abbott to keep him from calling another special session? Abbott's satisfaction with the overall 30-day period appears to disproportionately hinge on whether lawmakers can come together on property tax reform, which he has repeatedly suggested is his top priority beyond the sunset bills. Saturday could be a pivotal day for that issue, as the House is slated to take up a key property tax reform measure. Senate Bill 1 would require larger cities, counties and special purpose districts to hold an election if they plan to increase their property tax collections by 6 percent or more than the previous year. Such a provision never made it to the House floor during the regular session, which partially led to the special session. The Senate wants the threshold set at 4 percent. Abbott has previously floated 4 or 5 percent, a potential compromise threshold that could get worked out if the House passes Senate Bill 1 on Saturday and heads to a conference committee with Senate negotiators. The clock is also running out for the House and Senate to agree on how to reform the state's beleaguered school finance system. It's emerged as the main education-related debate of the special session, as other items under that category, such as a teacher pay raise and vouchers for special-needs students, have fallen by the wayside. On Friday, the Senate Education Committee, chaired by state Sen. Larry Taylor, R-Friendswood, stripped $1.5 billion out of the lower chamber's primary piece of school finance legislation. Taylor hopes to bring this drastically altered version of House Bill 21 before the full Senate Saturday, and he suggested he'd be willing to compromise with his counterpart in the House, state Rep. Dan Huberty, R-Houston, who authored the original measure. Meanwhile, Huberty advanced the Senate's preferred bill – which would create a commission to study school finance – two days ago. But he threatened it would not pass the full House unless the Senate did likewise with his HB 21. Several other bills remain very much in play as the special session heads into its final five days. Friday saw the passage of two other bills — HB 7, curtailing local tree cutting ordinances, and SB 6, on local annexation. But because the measures differ from the versions passed out of their respective original chambers, they could require conference committees made up of House and Senate members if the chambers are unwilling to accept the other’s changes. The Senate approved HB 7, relating to city tree ordinances, but not before making big changes in committee to the version that passed out of the House, including further restricting cities’ abilities to prevent private landowners from cutting down trees on their property. And the House gave an initial nod to the Senate’s local annexation bill, but not without adding a contentious provision that allows citizens who live within 5 miles of military bases to vote on proposed annexation — as long as the city still has the ability to regulate the area around those bases. At the end of the regular session, State Sen. José Menéndez, D-San Antonio, successfully filibustered a version of the bill that did not contain the language pertaining to military bases. While Friday saw movement on a number of key bills, some remain far back in the legislative process with time running out. Controversial legislation that would regulate which restrooms transgender Texans can use is viewed as all but dead, and despite bipartisan support and early momentum in both chambers, proposals to tackle Texas' maternal mortality crisis haven't made much progress in the opposite chamber after passing out of their original chambers. Both chambers are meeting Saturday. In addition to the property tax bill, the House is set to take up Senate Bill 11, which would require physicians to take certain steps before issuing do-not-resuscitate orders to patients. The Senate, meanwhile, is scheduled to consider HB 21 — Huberty's school finance bill — as well as House Bill 214, which would restrict insurance coverage of abortion.